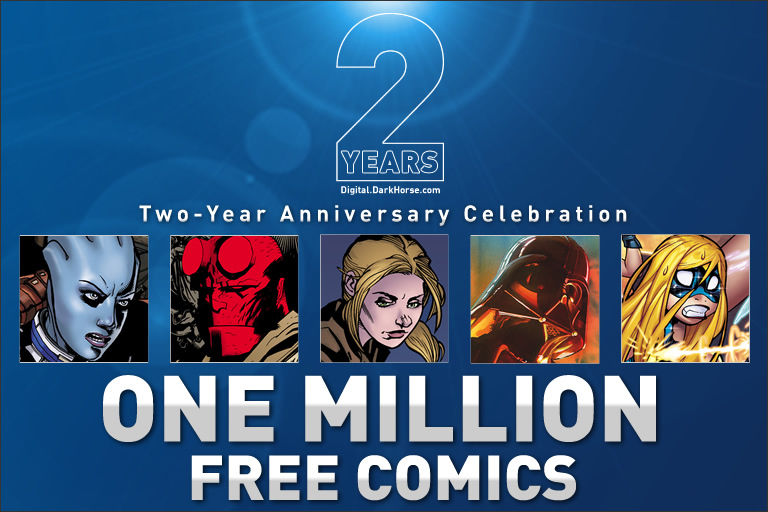 Dark Horse Digital gives away One Million Free Comics For its Second Anniversary! Now that the dust has settled on Dark Horse Digital’s incredibly successful two-year-anniversary promotion, the company is pleased to announce that it gave away a million free digital comics! As part of the celebration of the second year of the company’s digital initiative and proprietary storefront, fifty free single-issue comics were made available for only forty-eight hours. In that time, thousands of fans took advantage of the offer and downloaded their favorite Dark Horse titles, to the tune of a million copies! 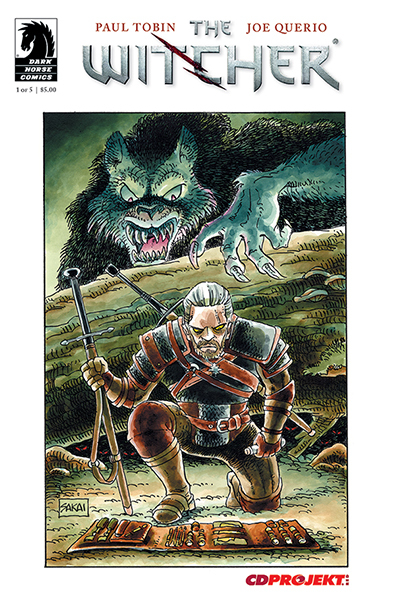 “The success of our digital promotion illustrates the growing reach of digital comics, which we believe are an important element in the recent resurgence of physical comic book and graphic novel sales,” said Dark Horse’s president and founder, Mike Richardson. 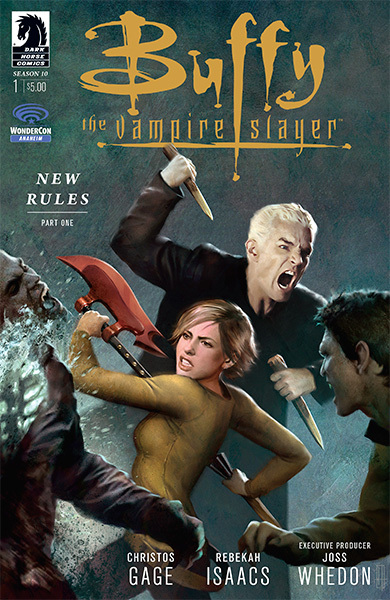 Since then, Dark Horse Digital has grown significantly in numbers and readership by featuring its most popular and best-selling titles, including Star Wars, Buffy the Vampire Slayer, Serenity,Hellboy, Avatar, and Mass Effect, as well as exclusive digital-first series, such as Falling Skies, Prototype 2, and Dragon Age. 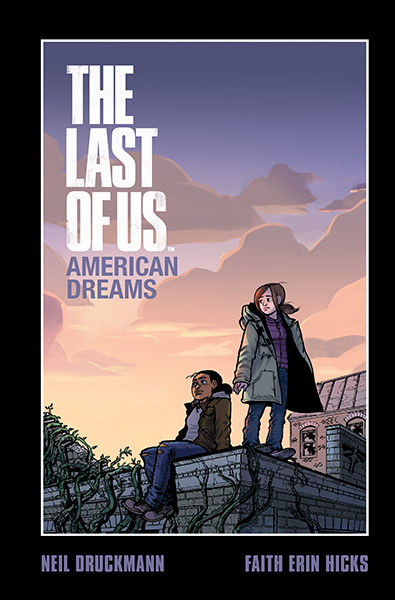 Dark Horse Digital also provides sales and discounts for its reader base on a weekly basis. 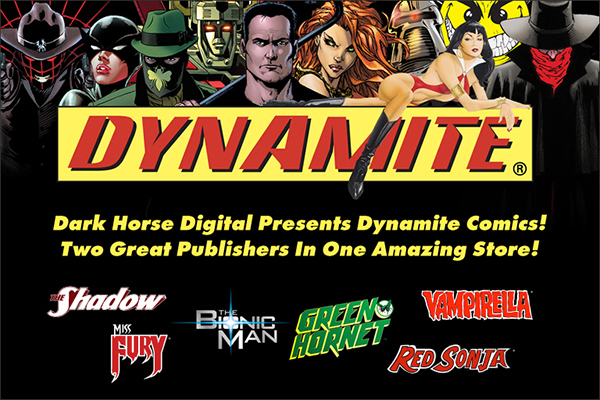 It currently offers thousands of comics and continues to increase the digital availability of the Dark Horse back catalog. 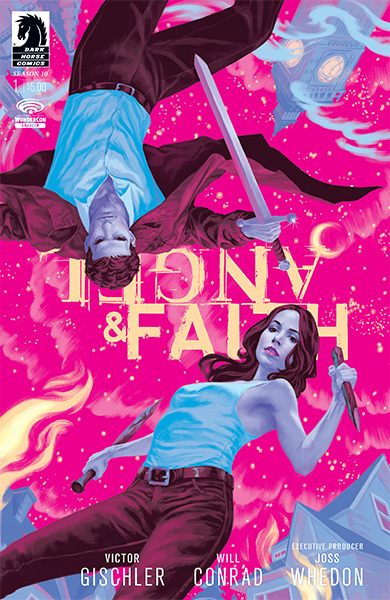 Posted on May 9, 2013 Author Anthony DavisCategories Comics, News, Press ReleaseTags and Mass Effect, Avatar, Buffy the vampire slayer, dark horse, Dark Horse Digital, Dragon A, Falling Skies, hellboy, prototype 2, Serenity, star wars, Two-year AnniversaryLeave a comment on Dark Horse Digital gives away One Million Free Comics For its Second Anniversary! 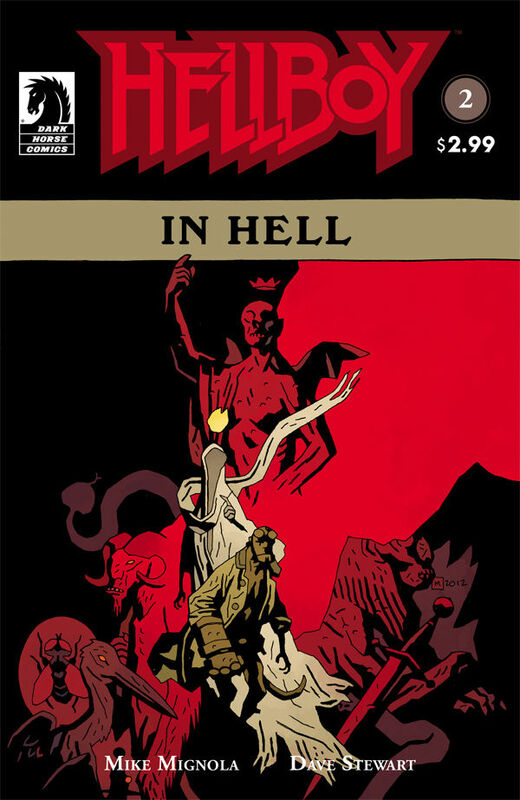 Darkhorse’s Hellboy In Hell #1 Sells Out!!! 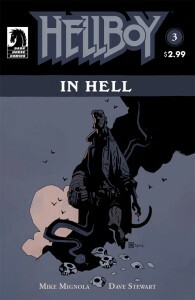 Retailers around the country are sold out of the critically acclaimed first issue of Hellboy in Hell. In response, Dark Horse is reprinting the acclaimed first issue. The reprint is available for reorder now, with an on-sale date of January 30, just 1 week before Hellboy in Hell #3 goes on sale. 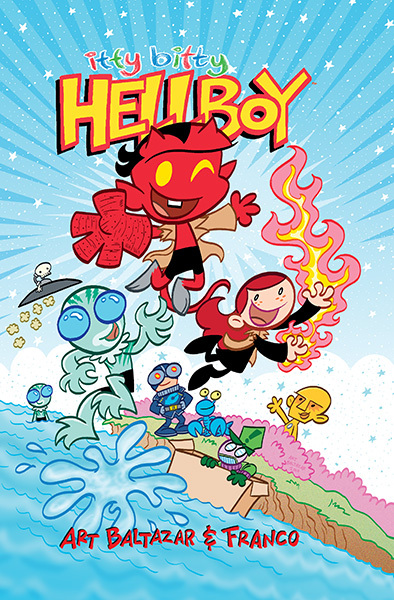 After saving the world in The Storm and The Fury, but sacrificing himself and Great Britain, Hellboy is dead, cast into Hell, where he finds many familiar faces, and a throne that awaits him. 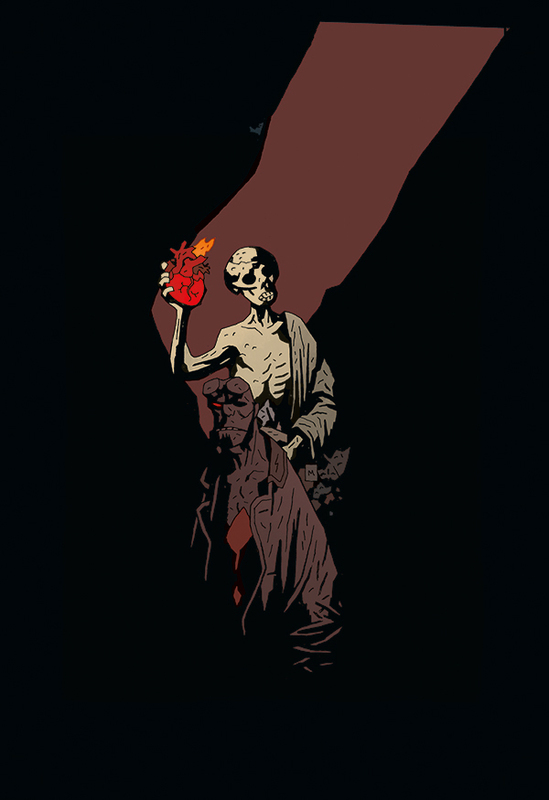 After several years away, Mike Mignola returns to write and draw Hellboy’s ongoing story. 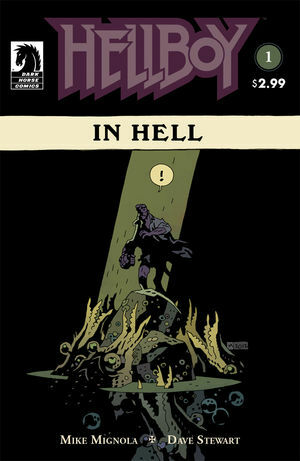 It’s a tale only Mignola could tell, as more of Hellboy’s secrets are at last revealed, in the most bizarre depiction of Hell you’ve ever seen. 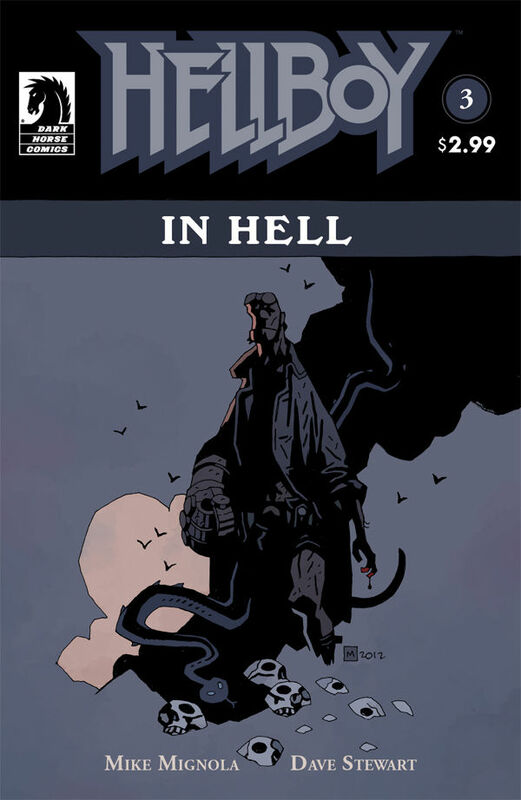 Hellboy in Hell #2 arrives on sale next week (January 2nd) at fine retailers everywhere. Retailers: Order codes can be found below and are also featured in today’s edition of Diamond Daily. Posted on December 31, 2012 Author Anthony DavisCategories Comics, News, Press ReleaseTags 1, Action Adventure, Darkhorse, Dave Stewart, hellboy, horror, In Hell, In Hell #1Leave a comment on Darkhorse’s Hellboy In Hell #1 Sells Out!!! Are you a B.P.R.D. fan, would you like to get into a large group chat with fellow fans and Dark Horse team members next week? Check out Twitter on March 29th using the #BPRD hash tag to kick off the fan chat at 4PM Pacific. Fans will share their fellow agents, moments and storylines with each other but more specifically it will be a chance to give input on The Pickens Country Horror which we reviewed last week. 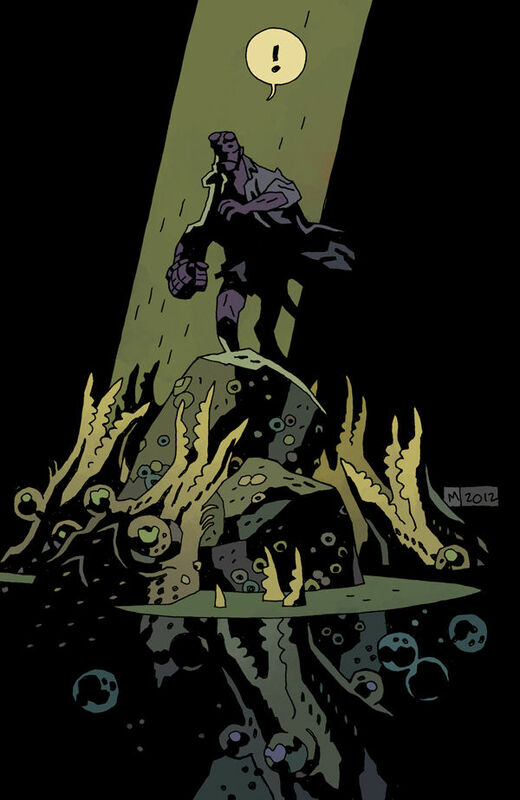 You never know what can happen in the B.P.R.D. world, you know even less when you throw in mysterious fog and crazy people in toxic areas of the south. 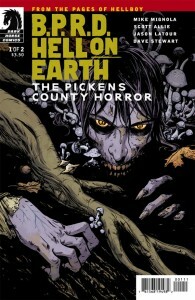 The Pickens Country Horror is a side story bringing in toxic lands and hazards to the B.P.R.D. 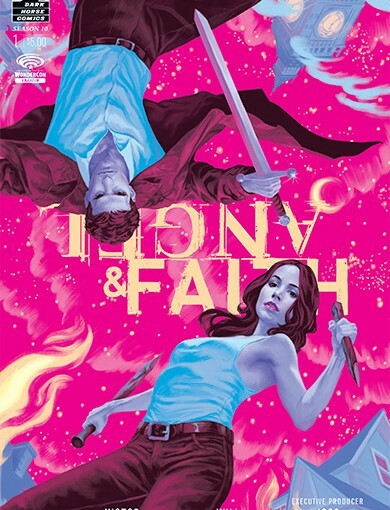 crew, Peters and Vaughn travel down South to find out about missing humans but the story twists into something more and then it keeps twisting until reaching sufficient levels of crazy and potential doom. We get a glimpse of a country family sensitive to light and with a unique guest residing with them, their background gets even worse as the younger ones explore the wilderness they stumble upon the undead. While Peters and Vaughn see this as a waste of time for specimen gathering it’s just the start of a 200-year-old mess waiting to unearth itself in the midst of absolute chaos already hitting the globe. Vampires, supernatural gas, paranoid conspiracy authors and more are packed into this 2 part series and there’s some health drama for good measure. Fans of the series will no doubt have a good fast paced run through this wild chase with the duo, the speed and detail of the story makes it easy to see this arc wrapping up nicely in issue 2 or opening a solid gateway from there. The art is simple but dark, the colors are slightly muted and the gestures convey the energy of each moment allowing readers to draw their own scenes in their mind. When going into details like the Professors house it goes into even more eerie feelings as the walls scattered with crosses tell the paranoia and possibly justified fears and theories held within the house.